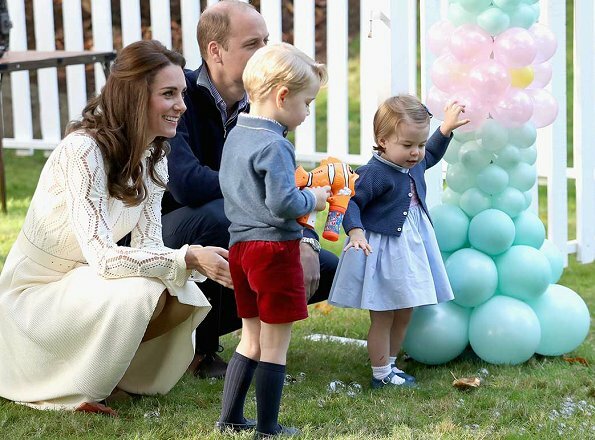 Prince George will be a page boy and Princess Charlotte will be a Flower Girl, who serve their aunt during the wedding of Pippa Middleton and James Matthews. That news was confirmed by Kensington Palace yesterday and Kensington Palace also confirmed that Prince Harry will be on duty during that wedding. The wedding will be held at Berkshire St Mark Church in Englefield on May 20. Prince Harry is not going to be on duty at the wedding. He will attend the weddomg but not in any capacity for the groom. He is not a pal of the groom in a way to be an usher. Unless something changed from the official release from KP yesterday. Is not little Charlotte too young to be a bridesmaid? What exactly will she have to do? Anyway: that photo of them all is beautiful! Great family! Young but this is her only Aunt. It is a family wedding in a family church. Very small. She will be surrounded by friends and family and it will probably be adorable. Memories. However I have been to a few weddings w 2 yr olds and they did great down the aisle. They walk w an adult in GB as opposed to the US where we just hope they make it down the aisle. The little we know about the Middletons tells me that even if Carole or Catherine or Papa or Uncle Harry had to help her it would be ok and one to tease her about forever. Points well made. I guess we'll see but, however it goes, I agree that little Charlotte should be included. Family stories are made of such occasions--and sometimes the things that go wrong become the most beloved tales. She is too young, I think. She will have turned 2 just a few days before. A 2-year old is notably unpredictable, think of princess Madeleine's Leonore last summer, when she was 2 years old.. While it is true that 2-year-olds are unpredictable, Charlotte did very well on the official trip to Canada last year, when she was even younger. She seems a well-tuned and intelligent little girl, interested in the world around her. And she will be surrounded by caring family with whom she is familiar. She is not going to be a bridesmaid. She will be one of the flower girls. The term bridesmaid is also used for children in England. The Kensington Palace release states that Charlotte will be a bridesmaid. The term flower girl is more common in the US. C'est là que l'on va voir qui a de l'humour,Mais je ne crois pas que le reine Elisabeth sera présente. It just struck me that, in that particular side view of Catherine, she quite resembles Meghan Markle.